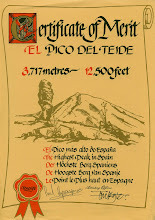 Above: On February 20, 2011, I will be walking across 1300 Degrees F Coals for 'The Stroke Association'. 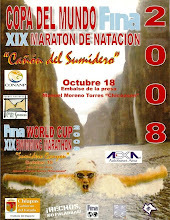 2010 was a strange year for swimming for me. It is important, that when you set yourself a goal, you are totally focused on achieving that goal. 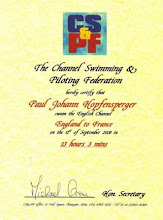 For both of my English Channel swims, this was the case, but for my 2010 swim of The Wash, it simply wasn't. 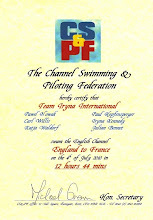 We had a multitude of personal issues which were more important than swimming. The biggest of these were the fact that Beccy and I were waiting for our second child to be born (Nico - October 27, 2010) and that I was going on a multitude of courses to help us build up our Personal Wellness business. Looking after my family and my business had to be my no. 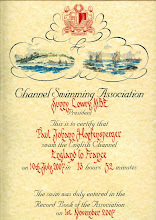 1 concern and so although I completed The Great East Swim, The Great London Swim and a successful English Channel Relay, it ended there. I haven't been in a pool or the sea since September and am not sure what lies in store from a swimming perspective at present. I am happy with this, and I am sure I will be back, but not at the moment. That said, having been a charity fund raiser for as long as I can remember, I couldn't resist being able to tick another little goal off my list, as well as raising funds for a cause close to home. On Sunday February 20, 2011, I am going to complete a firewalk for 'The Stroke Association'. In 1990, 6 months after retiring, my dad had what is called a TIA (transient ischaemic attack) sometimes called a mini-stroke. For many hours he did not know where he was, where he had been that day or anything you told him literally 10 seconds previous. 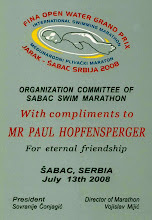 Just over 10 years later in 2001, he had a full stroke which affected his speech, and right arm and leg. He has never fully recovered and requires a zimmer frame to walk. But he was one of the lucky ones as you will see below. Every 5 minutes someone in the UK has a stroke. Each year an estimated 150,000 people in the UK have a stroke. Stroke is the third most common cause of death in the UK. A quarter of a million people in England and Wales are living with long-term disability as a result of stroke. It is the only charity solely concerned with combating stroke in people of all ages. They want a world where there are fewer strokes and all those touched by stroke get the help they need. Their mission is to prevent strokes and reduce their affect through providing services, campaigning, education and research. The Stroke Association helped my dad, and so now I will be helping raise funds for them. 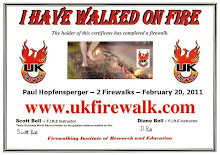 I will be doing a firewalk for The Stroke Association on Sunday February 20, 2011. 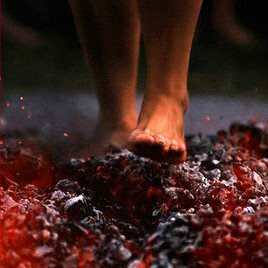 The firewalk will involve walking barefoot over a 5 - 6 metre strip of burning hot embers reaching temperatures of 1300 Degrees F. A fire-team builds the fire, and when it has burned to red-hot embers it is raked level and prepared for the walk. I will remove my footwear and walk across the coals!